LONDON, April 26 (Reuters) – "Our industry is going to suffer from disruption, distortion and damage. April 2018 has not been a good month for aluminium globally." That was the view of Ron Knapp, secretary-general of the International Aluminium Institute (IAI), in his opening address to CRU's World Aluminium Conference in London. The sanctions' disruptive power flowed down credit lines in a commodity market that is heavily dependent on bank financing, both for fresh material flows and inventory management, particularly Rusal-brand inventory management. "We haven't seen a real break in the supply chain of contracts," Erik Gundersen, head of aluminium at trade house Mercuria, told the CRU conference. But Rusal's activities run deeper still. Western world alumina supply had already taken a hit with the partial closure of Hydro's giant Alunorte plant in Brazil. The Rusal sanctions have sent the price to record highs above $700 per tonne. Aluminium smelting is a conversion business and "margins have just collapsed overnight," according to Gundersen. The Rusal ripple effect has directly undermined the Administration's stated goal of seeing idled capacity restart in the United States. 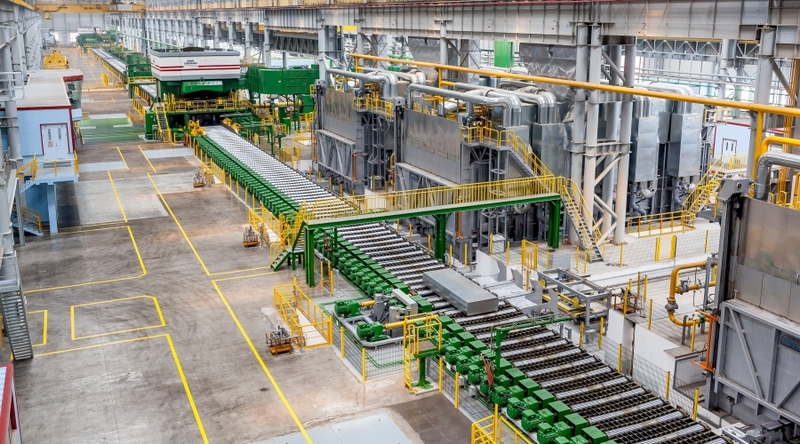 As Eoin Dinsmore, head of CRU's aluminium department, put it, "you can't yank the biggest supplier out of the supply chain and think it's going to be OK."
Which is why Treasury has extended from June 5 to Oct. 23 the time allowed for both U.S. and overseas entities to continue with "winding down" exposure to Rusal. Well that and likely behind-the-scenes pleading from what Treasury Secretary Steven Mnuchin called "our partners and allies" as well as the highly ironic prospect of China exporting more aluminium to plug the rest of the world's shortfall. "Rusal buyers are free of sanctions if it's a continuation contract and settled outside of the dollar system." The U.S. Treasury has stated the price for lifting the sanctions. "The path for the United States to provide sanctions relief is through divestment and relinquishment of control of RUSAL by Oleg Deripaska." The ball is now back in the Moscow's court. Sanctions were not just about Russia and Rusal, according to the IAI's Knapp. They are "aluminium sanctions" in so far as "the effect of this action was industry wide and globally damaging." And that's the shock awakening for this market. For protectionists it's proof that "a global supply chain is vulnerable to geopolitical risk," to quote Jesse Gary, general counsel for Century Aluminum, the U.S. producer that has led the lobbying for import tariffs. For globalists, it's a warning that messing with deeply-enmeshed global supply chains risks multiple unintended consequences. In aluminium's case, all of them bad.